These diamond core drills that feature a half inch British Standard Pipe (BSP) male thread. This means that only diamond core drill bits with this thread type can be used in this drill and, as such, these BSP diamond core drills are designed specifically for diamond core work. 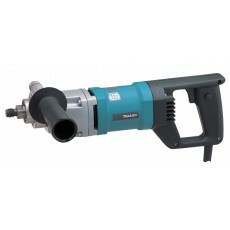 Diamond core drills are heavy-duty specialist drills, which are typically used by plumbers and heating engineers. For those who require a diamond core drill with a little more flexibility, keyed chuck diamond core drills can support other types of drill bits. There is often a choice between single or 2 speed gears. Most diamond core drills have a variable speed function.